I owed $14,000 to the IRS paid in full in 2011 tax year. Is any of this amount deductible next year? Thank you for your federal income tax payment deduction question. 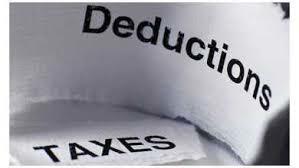 Unfortunately, the amount you paid the IRS for prior year taxes is not deductible next year. However; If you were to pay prior year state income taxes, the amount you paid would be an itemized deduction in the year you paid the taxes.